Here’s a comment I made by email to Sy Brandon, regarding the saxophone movement of Divertissement, the new multiple woodwinds piece he is writing for me. So much contemporary saxophone music is bombastic and grating—I always make sure I bring some aspirin when I attend the saxophone conferences. 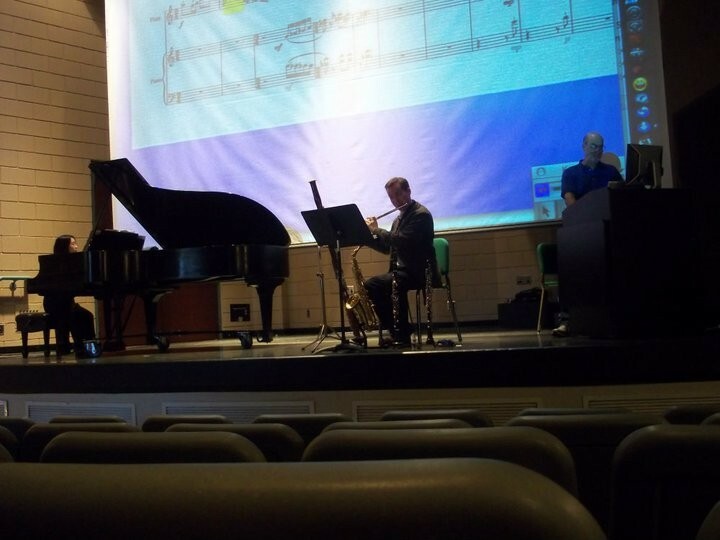 But the saxophone has such wonderful lyrical qualities, and I’m pleased that the saxophone got assigned to play something pretty in this piece. Don’t get me wrong; I love the saxophone’s expansive palette of tone colors, and will happily flutter-tongue or play multiphonics or whatever. But it’s nice to play a melody once in a while.